Based in Petersfield, Hampshire, we have over 25 years of experience in all aspects of working with chimneys, fireplaces, stoves and flues. We have developed an excellent reputation which is based on professionalism, dedication and top quality finishes. You can expect excellent value for money as we offer highly competitive rates and we pride ourselves on completing work to a high and safe standard. A lot of our business comes from word of mouth recommendations and we are also one of the recommended installers for Kings Worthy Foundry in Winchester. 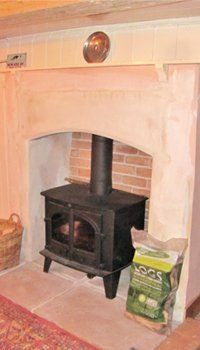 We are an ideal choice for anyone requiring chimney or fireplace services, from the supply and installation of stoves, fireplaces and wood burners to the installation of chimney stacks and chimney repairs. Although not showroom based, we are able to source stoves, fireplaces and hearths of all types and we are able to obtain bespoke items if required. Call Bryan Frost Chimneys today for an open fireplace and Chimney repairs in Petersfield.